You Are Here: Home > Unique Family Dealership in Oswego, IL, Where Our Main Business is Family not Sales! Unique Family Dealership in Oswego, IL, Where Our Main Business is Family not Sales! At Ron Westphal near Oswego, IL we offer a unique dealership experience where our main business model is centered on family not pushing sales. We take extreme pride in serving the greater community of Oswego, IL and surrounding cities such as Aurora, Elburn, Batavia, and Joliet, Downers Grove and Naperville. 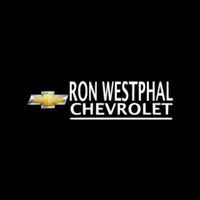 We, at Ron Westphal Chevy, have over forty years of experience running a family owned and operated a dealership and our sales, finance and highly committed, loyal and trained staff has been with us for almost as long. We enjoy serving each and every one of you as our valued customers and love to see you as returning guests again and again. As a committed member of our community, we sponsor over 10 baseball and softball teams and are a continuing primary campaign sponsor for Relay for Life which benefits the American Cancer Society. We also partner with Heartland Blood Center Bi-Annually and contribute to numerous other charitable events, centers, societies and charities. We are more than just a dealership at Ron Westphal Chevy near Oswego, IL. Come in today and see the family-friendly difference. Yes, we do sell vehicles at Ron Westphal Chevy near Oswego, IL too. Our new inventory is spectacular and has great options to choose from at affordable prices to match any budget. We are only a short drive from many other cities and towns or you can view our current new and CPO inventory online at any time. Our new car inventory includes great deals on models including Chevy Silverado 1500, Chevy Bolt, Chevy Corvette, Chevy Equinox, Chevy Malibu, Impala, Chevy Cruz, Chevy Traverse, Chevy Camaro, Chevy Colorado, Chevy Tahoe, Trax, Volt, Chevy 2500, 3500 and Cargo Vans. Our professional sales and finance teams can save you thousands of dollars off your next vehicle purchase with our finance and lease specials combines with local and regional manufacturer incentives that our competitors will never beat. There are tons of used and certified pre-owned vehicles to choose from on our inventory lots as well. Our highly qualified and skilled service technicians 100% inspect and tune-up each vehicle to provide reliable and safe used vehicle to drive off our used car lots that will last for years to come and most still have the remainder of the manufacturer warranties and very low mileage with the excellent exterior condition and mint interiors. 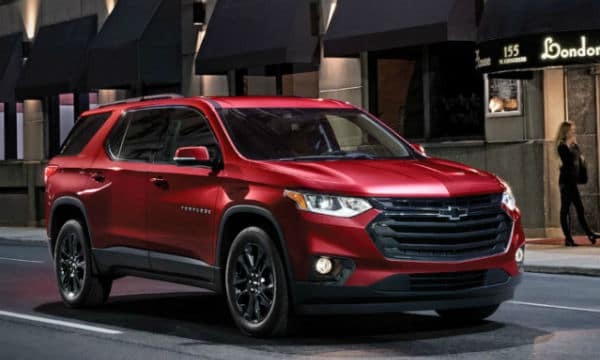 We have CPO vehicles such as Chevy Silverado 1500, GMC Acadia, Chevy Colorado, Chevy Cruz, Equinox, Chevy Malibu, Impala, Chevy Suburban, Yukon, Chevy Sonic, Trax, Chevy Tahoe, Traverse and Chevy 2500 and many other makes and models to choose from. Come down to Ron Westphal Chevy near Oswego, IL and check out our vast inventory of new and certified pre-owned vehicles and get yourself a free car wash with every purchase. We value your patronage and loyalty and we promise to make and keep you a part of the Westphal dealership family for decades to come! Our Service Technicians are highly specialized experts in all makes and models on the road today. They are highly trained and certified in all aspects of maintaining and repairing every part and accessory on every inch of your vehicle from bumper to bumper. Ron Westphal Chevy service technicians will have you back on the road safely, quickly and cost-effectively and with expert precision and experience. Our service department handles tire rotations and changes, engine repairs and flushes, transmission flushes and repairs, brake repairs and changes, battery changes, headlight repairs and changes, oil changes, tune-ups, fluid top-offs, multi-state inspections, radiator repairs and flushes and much more. Some of our current service specials this winter include Professional GM Battery Installation with a thirty-month free replacement offer, AC-Delco Brake Pad Professional Installation on Full-Size, Mid-Size SUV’s with a twelve-month unlimited mile warranty and an eight-quart AC-Delco Full Synthetic Oil Change with four tire rotation and multi-point inspection. These are only a few of our great winter service specials going on now at Ron Westphal Chevy near Oswego, IL to check out our service and parts center or come in and see us today so we can make you a part of the huge Westphal family! We are in the business of family not sales so come down to our Westphal Chevy dealership near Oswego, IL today! Call Ron Westphal Chevy service department near Oswego, IL to schedule your service appointment today! You get a free car wash with all service appointments too!